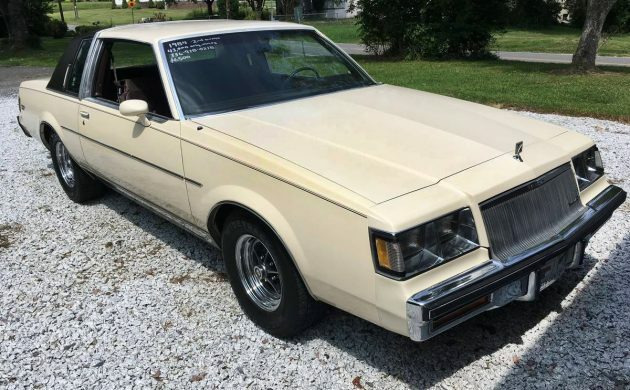 The seller of this 1984 Buick Regal nails it when they say that it’s a beautiful car. It’s the nicest one that I have seen in decades and it’s cheaper right now than it was decades ago which makes it tempting. 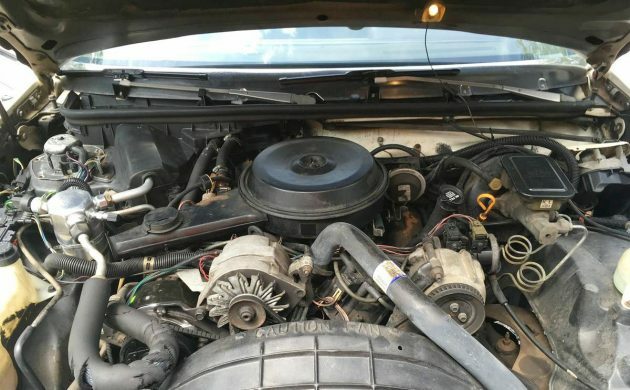 This beauty of a Buick can be found here on craigslist in Mt. Airy, North Carolina – home of Andy Griffith. The seller is asking $4,950 for this car. Thanks to Ikey H. for submitting this tip! The seller’s mother bought this fantastic looking car brand new and it only has 44,000 miles on it, or an annual average of just 1,257 miles. That’s about one day on the road for me when I’m heading somewhere so for this car to have just 44,000 miles after that long is amazing. It looks as close to new as I could imagine any 35-year old car could ever look. 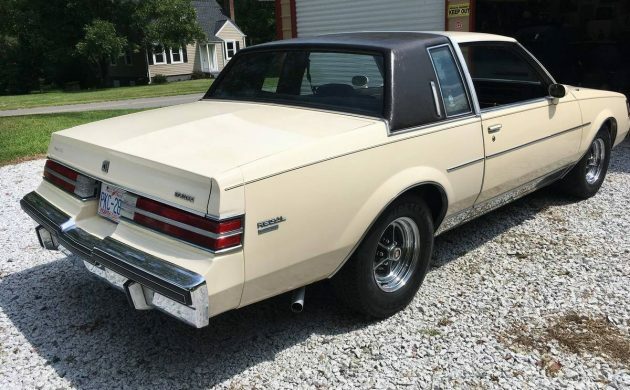 This second-generation Regal has never been driven in bad weather and those wheels are perfect for this car. I actually prefer black wall tires with those wheels myself so I wouldn’t change a thing. I wouldn’t change a thing about this car at all other than to keep it maintained for the next 35 years and promise to never drive it in a Minnesota winter. 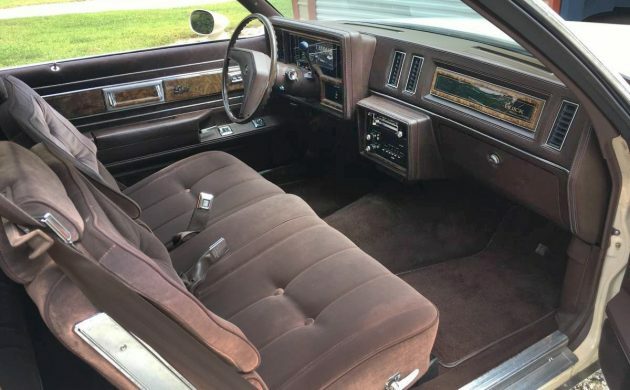 I know that you could instantly feel yourself sitting on that velour split-bench seat. That extra padding on the backrest is a nice touch and in a regal Buick Regal, I wouldn’t expect any less. They say that a new AC system was installed last year and the interior is like new. It sure looks like it is. 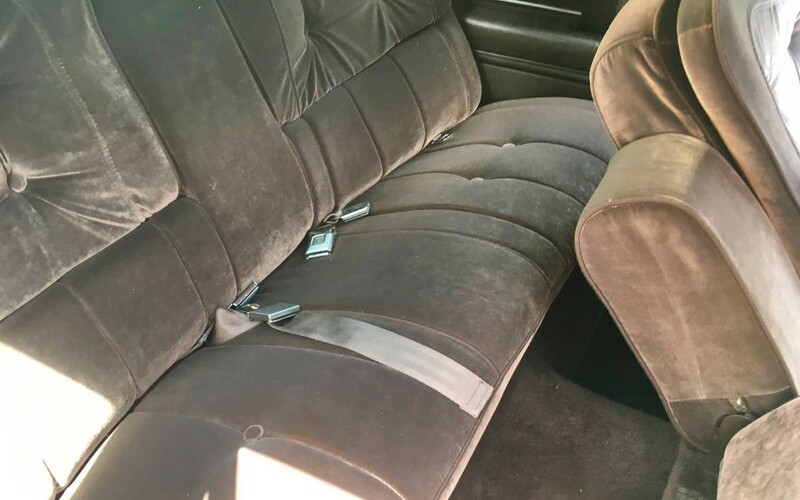 The back seat also looks like new. Bonus points for having lived its whole life in Andy Griffith’s hometown! Yes, I’m a huge fan. For those of you under 40, he had a “TV” show back when people had boxes called “television sets” in their living rooms. You know, in the pre-watching-YouTube-on-your-$100-a-month-4″-phone era. 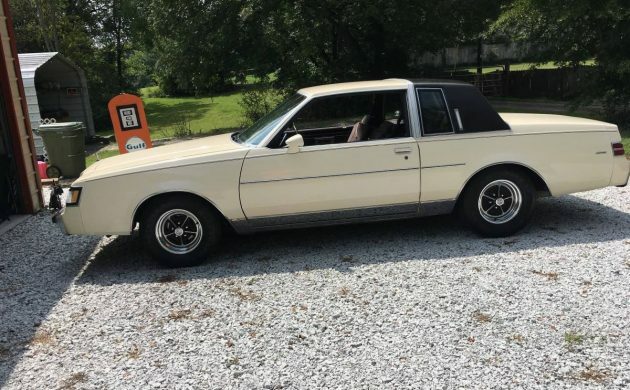 This isn’t a Grand National so there’s no turbo, but it does have Buick’s famous 231 cubic-inch V6 which would have had 110 hp and 190 ft-lb of torque. A 14.1-second 0-60 time won’t throw you back in those plush seats but you wouldn’t buy this car to race anyone down the on-ramp, you’d buy it because it looks like one of the nicest examples of a 1984 Buick Regal around and it’s cheaper than rebuilding the engine on your 12-year old car that recently crapped out. Quit contemplating that nonsense and buy this Buick Regal! How. Could. You. Sell. Your. MOTHERS. Car???? I sold my mother’s car, it’s one of those decisions you have to make sometimes. But if it had been this car, I would have kept it! Moparman, even with those classic Buick wheels? Of course, we called them rims in my day but God help you if you call them rims anymore. I’m normally a white wall guy but in seeing photos of those wheels with white walls I still like the black walls, at least on this Regal. On a nice Buick wagon with those wheels, yes on white walls for sure. But, I also have a cheesy mustache so who am I to talk about style? Another great write up Scotty. I love everything about this car. I remember going with my aunt and picking up her brand new 85 baby blue Regal with blue velour interior. Beautiful car. I’ve always felt these were tthe nicest looking of the GM G bodies. I agree with Moparman on the whitewalls, and I’m usually a black wall type. I try to say rims and find myself correcting it to wheels because I’m not sure what the proper terminology is anymore! Moparman, I like whitewalls too. Quite a while back, a fellow put up a picture here of a blue colored freshly restored Mirada, as I recall that had whitewalls on it and it looked stunning. Miradas were under appreciated cars. I saw it also, I would LOVE to have one like it! On most black walls you see the white walls are turned to the inside.It is what some people like.Does not have jack to do with price. Thanks for cutting back on the Grand Nationals, now we get every other Regal variant. Good call Bill, it needs raised white letter tires and maybe a turbo. I sold my Mom’s 79 Malibu, it was low miles but nothing like this one. It had been in the rust belt for eight years, rustproofed but already had the rear frame rails fixed. but I was a LOT younger then and didn’t appreciate ride quality. I discovered Suburbans in the late 1980’s and things got a lot better. The difference is Mom looked at the 79 Malibu as a way to get to work and maybe haul the dog around, Dad and my Uncle loved the red truck. When I restored it in 2006/07 I figured it was worth $1500 or so. They kept it oiled, but it was 100,000 miles in the rust belt. I put about $7,000 worth of new parts and paint on it, thought I was totally insane, but doing what they would want me to do. Now those things are bringing big money and I could actually make a profit, the problem is it’s family and I can’t sell it. It will stay with me and eventually go to a cousin’s son who remembers riding in it as a kid in the early 1990’s. 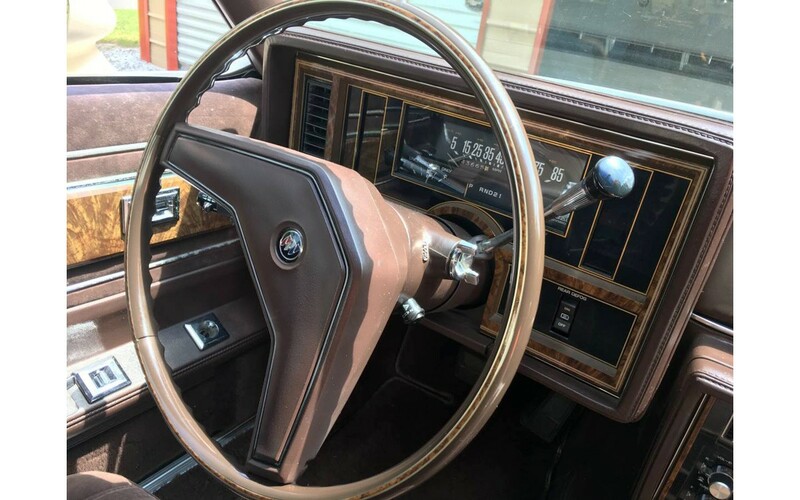 I had a 1983 in these exact same colors. I also had a 1984 in dark blue with a white half vinyl top. They were both great cars. I’d take this one if I was in the market. I “sold” the blue one to my little brother… no, I never got paid for it. I’d go with raised white letter tires on these rims. Last great car the General made. Really? I bet there is one or two you wouldn’t mind owning if someone offered them up to you as a Happy Tuesday gift. How about a Fiero? Maybe one of the Vettes, perhaps a Camaro? My kid sister has a fairly new small Buick that is pretty gosh darn special. The General may be old, but he still has a few tricks up his tattered sleeves. I test drove a similar one in the early 90’s, but it was a “Sommerset” Edition. Not the POC Cavalier FWD kind, but it was like this one. Full gauges, cloth bucket seats, and a floor mounted shifter w/ console. Midnight Blue Metallic/Dark creme 2 tone paint with midnight blue velour interior. Fully loaded (including cornering lamps, roof, power everything). 33K miles. Drop dead gorgeous car. Drove like a dream. One of my favorite GM body styles ! Sporty & Classy all in one.